2017 has been a whirlwind so far, crazy winter weather, variety show, science fair, etc. and spring is just around the corner (scroll down, to see the latest announcements). Walking through the classrooms during science fair, I was so impressed with the work of students in all grades. I saw a lot of fun, creative and interesting inquiries. A big thanks to Jay Dyer for leading a new approach to science fair this year, a huge shout out to Jennifer Schramm for orchestrating a legion of volunteer judges and for her new judging format and system, and gratitude to all those volunteers for their time and thoughtful review of our kid’s hard work -- read-on for their recap. It was great to see all the folks at the last community meeting. For those who missed it, our dear art teacher, Sharon Hatrak, gave an amazing presentation covering her approach to art education and how she applies It as students progress through the grades, illustrated with great example of student work. She has put a lot of thought into how she guides our children in visual exploration and expression. They, and we, are fortunate to have her working with our kids, and I am grateful for the Winterhaven community for funding her position through the PTSA. We are targeting an encore performance for those who missed the meeting on Tuesday April 3 at the Coffee Chat, 8:45 in the Library. WOW! We are doing GREAT folks! What a generous and fabulous community! We met our goal for the Pledge Drive. We meet our goals at our Pastini and Por Que No? Dine Out for Winterhaven Nights (despite the weather!!). Nice work team!!! Let’s keep it up! As a reminder, we have a special Dine Out for Winterhaven at Nostrana on Tuesday, February 21st. Come and enjoy a wonderful meal, a glass of wine, a yummy dessert, and know that Winterhaven will receive 10% of all the nightly revenues. PLEASE spread the word to your friends and family! Nostrana is excited about sharing some LOVE with us, let’s make it really HUGE love. Let’s blow this MAC Attack out of the water! Let’s raise more than we EVER have EVER before! I know we can do it! YES WE CAN! Children's book drive The Community Service Committee is running a book drive to donate to the Children's Book Bank. There will be boxes in the front hall of the school until February 16th. Most needed types of books: board books for small children, multicultural topics, books in Spanish, and chapter books for elementary and middle school students. Neighbors for Clean Air visit – Did you know that in terms of diesel emission polluters, Multnomah County is the 4th highest polluter and Oregon as a state is the 6th highest in the NATION?!?!?!? Mary from Neighbors For Clean Air visited our PTSA coffee chat this week. She was highly encouraged about the progress slated for 2017 in the Oregon Legislature, but is asking for support at their event this next week -- February 15 they are hosting and event at the state capitol which could be very educational. More details on our website here. Calling all Web Designers: Wouldn't you love to see our PTSA website go from OK to Amazing? Web designers, you know who you are. 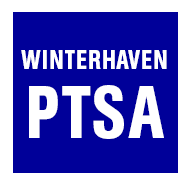 Email admin@winterhavenschool.org if you'd like to take our Google site to the next level! 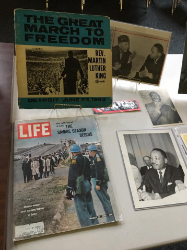 Our PTSA hosted The Black History 101 Mobile Museum in the Winterhaven auditorium on January 30th. What a moving and interactive way to provide a diversity experience. Thank you Marisha Childs for getting this to Winterhaven!! All the teachers were able to bring their classes in to view and discuss, and parents reported that it made for some lively and interesting dinner table conversations. The Science Fair Team wants to send a big thank you out to all the volunteers that helped make this year’s all school science fair a big success! We had more than 70 judges help us with the preliminary screening and final judging of this year’s 180 5th-8th grade posters. Every poster was reviewed three times and the five finalists at each grade level were further reviewed and interviewed by a panel of at least 5 judges. It sounds like our new digital screening process was a hit and it definitely made reviewing posters fun! Congratulations to all our winners and good luck as they move on to Intel’s Science Expo this spring. As with any big event, we have a long list of thank yous! Thanks to our middle school science teachers, Jay Dyer, Jason Giles and William Thompson for pushing our students projects to completion despite all those snow days and for assisting throughout the judging process. Special thanks to Kasey Hersey for coordinating the food logistics throughout the week of science fair and during final judging and making sure that everything ran smoothly. Thanks to the 5th-8th grade families that contributed food for our judges, and to the 7th and 8th grade students that stayed after school to assist with childcare. And finally, thanks to Nancy in the office for all her help with printing labels and certificates. As was so expertly stated by 5th grader Jennings Ehnes, “This was the best science fair yet!” and we couldn’t have done it without the help of the Winterhaven community! Thank you again, so much, for your contribution!